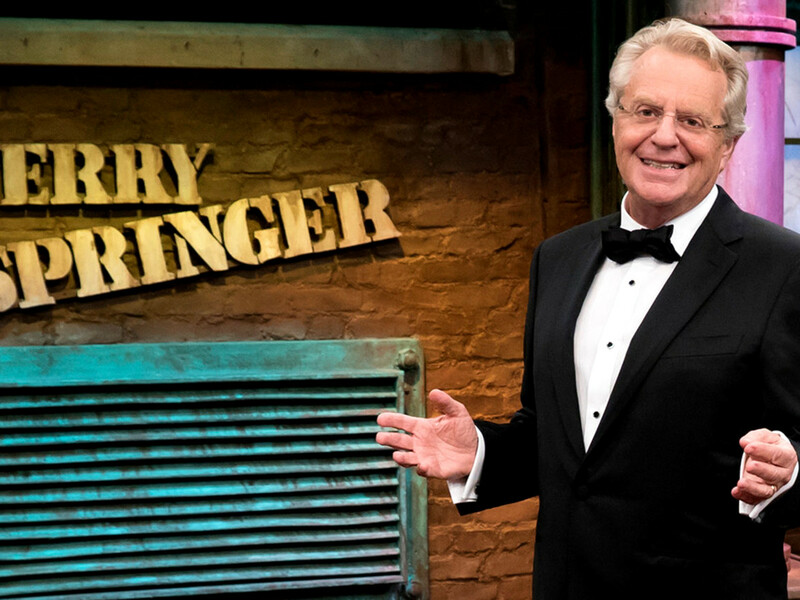 Television as an art form has taken a big blow — The Jerry Springer Show is calling it quits after nearly three decades and 4,000 supremely entertaining, provocative, and totally insane episodes. Where do you think minor league hockey teams got the idea for “Guaranteed Fight Night?” If Jerry’s guests, especially bosomy, low-cut women, weren’t rolling around on the floor, pulling each other’s hair by the first commercial, the show was a dud. Rawrrrr — cat fight! You know the whole thing was fake, right? I have a friend, happens to be a standup comic, who appeared on the show as a two-timing … heck, five-timing, womanizer who had to confront all of his ladies on the show. If you’re real quiet, you can still hear the audience boo’ing him from 10 years ago. I’ve always been a fan of trash TV, daytime shock talk shows, like Jerry Springer, Geraldo’s old show, Sally Jessy Raphael, Ricki Lake, Richard Bey, and especially (and my favorite) Morton Downey Jr. I usually buy William’s argument that he can’t be the father because “See? We don’t look anything alike!” Maybe it’s because the baby is 6-months old and you’re a full grown idiot? One year, back in my Houston Post days, I convinced the bosses to send me to New York where I could sit in the audience of several daytime shock shows. It was fun beyond, and up close, the confrontations were 10 times faker than they looked on TV. I remember something less enjoyable from that visit to New York. One morning, I stood outside the Today show window, so I could wave like the mother and daughter visiting from Ames, Iowa. It was 2 degrees. Standing outside for an hour in that temperature … it’s not worth waving to the folks back home. I’ll call from my hotel room. Morton Downey Jr. was, no debate, the most obnoxious, loudmouth, awful human being talk host ever. He blew cigarette smoke in his guests’ faces, he railed against “pablum-puking liberals,” he called women “pigs” and “sluts,” and suggested they had VD. He ordered disagreeing guests to “zip it.” Neo-Nazis? Book ’em! Physical confrontations were routine, occasionally with Downey Jr. involved. Morton Downey Jr. started more fights than Michael “Let’s get ready to rumble” Buffer. I loved him. Here’s how it happened that I was a guest on the Morton Downey Jr. Show. The National Association of Television Program Executives held its annual convention in Houston that year. This is where TV stations, mostly independents like Channel 39 and Channel 57, negotiate to buy syndicated and independent shows. The Top 5 syndicated shows currently are: Family Feud, Judge Judy, Weekend Adventure, Wheel of Fortune and Jeopardy. Morton Downey Jr. was in Houston to shake hands with TV execs and sell his wild and wooly show. While here, he taped a week of shows from Channel 39 studios. One of those shows was “Shock Radio” — a hot topic of the day. Howard Stern ruled New York radio and Stern-types were catching fire around the U.S. I covered TV and radio for the Post, so I was invited, I guess, as the voice of reason. I said yes, absolutely, even though I think controversial radio is a good thing. Second-hand smoke from Morton, not a good thing. The duo left the stage, walked into the audience, and stuck a microphone in women’s faces — asking anatomically vulgar, personal questions. The “Radio Gawds” spent about five minutes raising hell, but only two minutes were deemed safe to air. That’s how down and dirty it got. Looking back, perhaps the female audience members were plants. Doesn’t matter. Stevens and Pruett did their thing. Real life? No problem. You don’t like it, there are 500 other stations. And the fact was, a significant segment of Houston did find entertaining and funny. You can look it up. Stevens and Pruett had ratings. I answered Downey Jr.’s question honestly, but tried to avoid smoke in my face. I said something like, we have freedom of choice in America, let the marketplace decide what succeeds. I also considered, if I mock Stevens and Pruett, which is what Downey Jr. expected/wanted, they’ll go on the air next day and destroy me. I could either disappoint Downey Jr. for 30 seconds on Channel 39 … or endure four hours of Stevens and Pruett crushing me on KLOL. 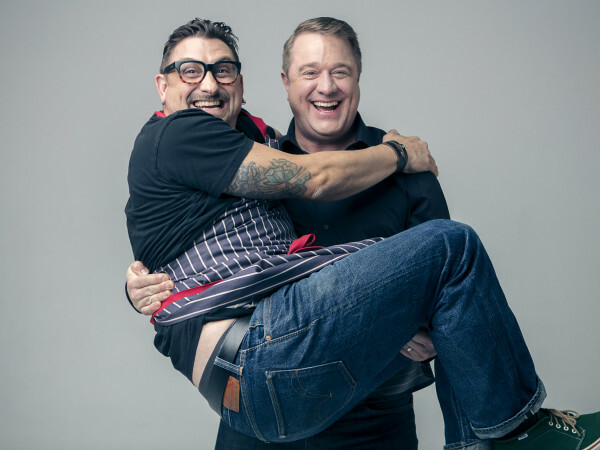 Stevens and Pruett had more listeners than Downey Jr. had viewers. One year later, Morton Downey Jr. was canceled. Six years later, the Houston Post was shut down. We’ve moved on.